new brand, new website - Emilie Inc.
worked out of my home (in DC, then South Portland), then in my first studio space in the eclectic East End, then from my home (in Cumberland Foreside), then back to Portland’s Old Port (sigh, that waterfront space on Union Wharf). started and sold the wedding blog, Love & Lobster, which we populated with daily content about marrying in this great state. Yup, every day. It’s been a busy, beautiful run so far. I’ve learned a TON, seen even more and felt your love cheering me on throughout. Thank you!! Lotta changes! Big ones. But you know, I’m really happy. What a wonderful, wild full-circle adventure this has been. It felt necessary to mark this massive pivot with a rebrand; time to retire the pink and brown. So I’m now just Emilie. You know, like Madonna. And Prince! 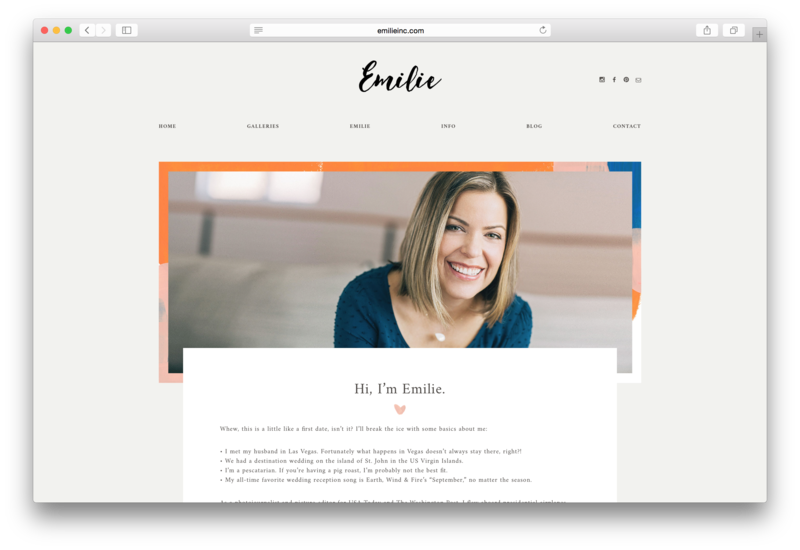 Ha, I’m the artist formerly known as Emilie Inc. Whatever you want to call it, I’ve got a fresh new brand, crazy awesome palette, new site and clarity. I can’t wait for what’s ahead. If you’re looking for the old blog, it will remain parked at blog.emilieinc.net where I will continue to update occasionally throughout the season!